Do you want your car to look great, handle beautifully, and ride comfortably? KW coilovers are the answer you seek. Race technology for the road: the same technology that goes into KW's race suspension goes into their street coilovers so you get superior handling and unrivaled quality. Options available for vehicles equpped with EDC, 50mm shocks, or 48.5mm shocks (please check your vehicle before ordering). If you want quality, you want KW. KW Suspension technology was born on the racetrack, but that doesn't mean you're getting racetrack stiff suspension when you get a set of KW coilovers. 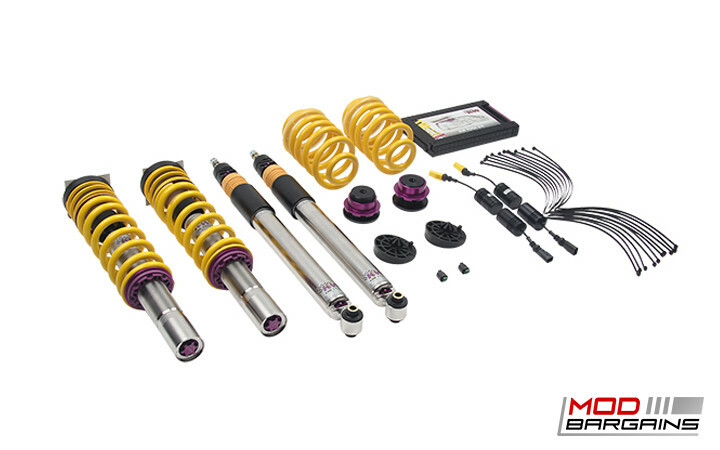 Their Stree coilover spring rates are designed to handle the bumps and irregularities of the normal road, and their dampers are designed to work with the lower spring rates to give you a smooth and predictable ride even over rough corners. They're also perfect for the track given that street cars do not have the downforce to warrant super stiff spring rates. If your coils are too stiff you'll be losing grip easier due to minor road imperfections and overall having to work harder to stay in control. Since the KWs have adjustable compression you can even counteract any body-roll you're unhappy with. 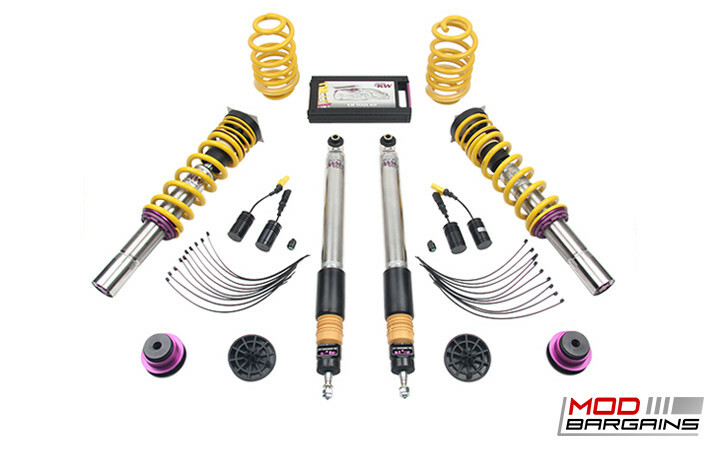 Ask anyone who owns KW coilovers and you're sure to get a resounding "yes, they are worth it".